It doesn’t snow often in the lower elevations of the Pacific Northwest, but when it does opportunity abounds for beautiful photography. 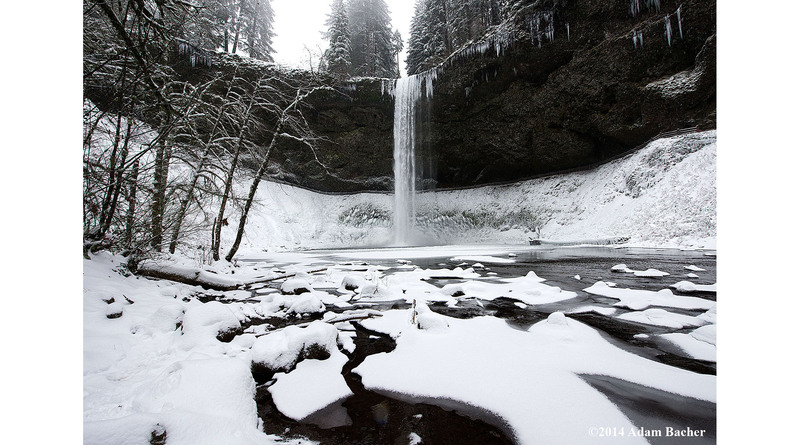 Silver Falls State Park, and the Trail of Ten Falls is a favorite. Ten major waterfalls are accessible in an 8 mile loop, four of them over 100 feet high.